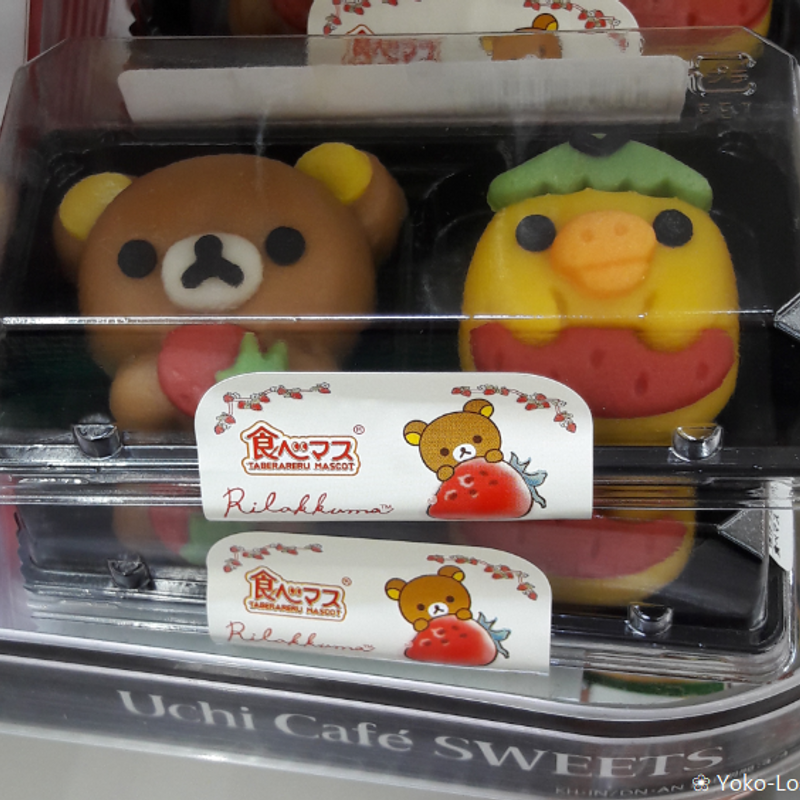 Rilakkuma and Lawson often come up with new collaboration goods, which also includes wagashi (和菓子), traditional Japanese sweets. One of the current Rilakkuma themes is Strawberry Party and it was taken for the latest wagashi version. It was released yesterday, on May 15th 2018 and I could get it right away. 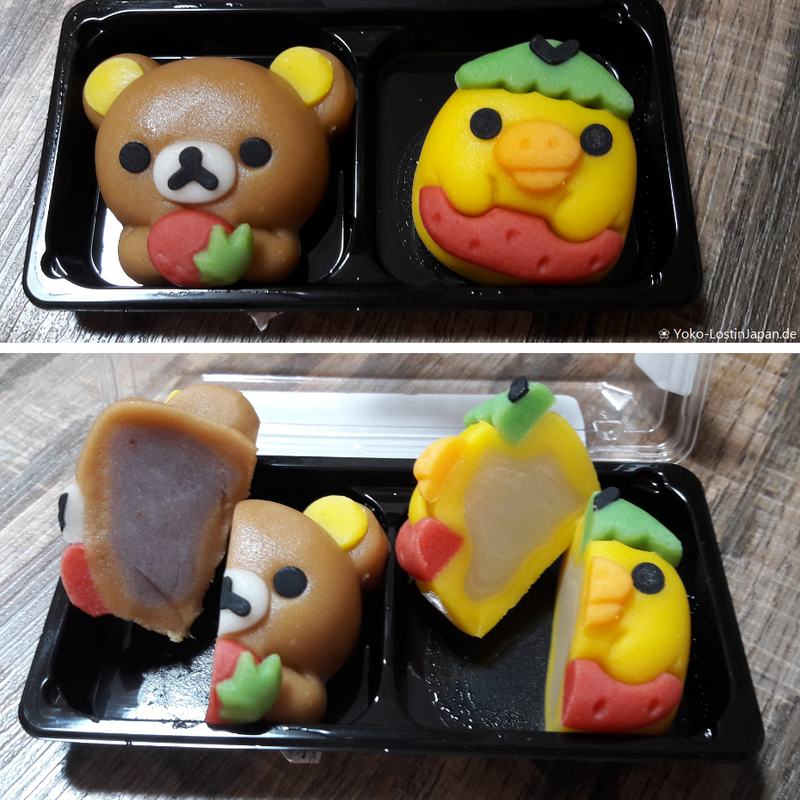 The latest wagashi sweets are really cute. One is Rilakkuma holding a strawberry. Also the taste inside is strawberry and it really is very delicious. 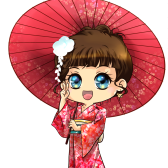 The second one is Kiiroitori which looks like hiding inside a strawberry which its green hat and the strawberry dress. This one has a honey maple taste. You can get the new cute wagashi at Lawson all over Japan for a limited time for 395 yen. A little bit pricy, but worth it if you like the little bear Rilakkuma and its friends. So cute! How do you manage to cut them so perfectly?! I always squash mine!! You know, I saw these when I was buying my Dars Mint last night (which makes me realise now that I was in a Lawson not a Family Mart) and was pretty impressed with the attention to detail. As @genkidesu said, well done on the cutting! @Tomuu Yes, I was also surprised how detailed they are this time. Got down with my husband that they are so expensive because of this.